A seductive and intriguing journey from the humble Persian Jewish quarter to the fascinating world of shahs, soothsayers, eunuchs, and sultanas, Harem follows three generations of strong-willed and cunning women: Rebekah -- a poor girl married to the abusive blacksmith, Jacob the fatherless -- who emerges from her disastrous match with a mysterious brand between her breasts; Gold Dust, Rebekah's treasured daughter, who enters the opulent and perilous world of the harem and captivates the shah with her singing bones; and Gold Dust's daughter, the revered and feared albino princess Raven, who will one day rule the empire. Rich in visual imagery, Harem vividly depicts the exotic bazaars and dangerous alleys of the city and palace chambers brimming with conspiracy and betrayal -- as well as love and redemption. A skillfully crafted, intricately textured novel, Harem represents the beginning of a remarkable literary career. Dora Levy Mossanen was born in Israel and moved to Iran when she was nine. At the onset of the Islamic revolution, she and her family fled to the United States. 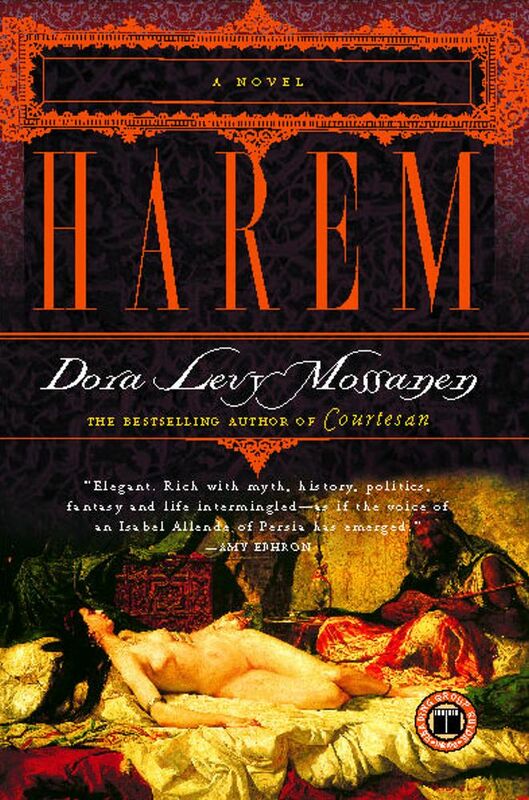 The recipient of the San Diego State University Editor's Choice award and the author of Harem, a widely acclaimed novel translated into numerous languages, Dora Levy Mossanen lives in Beverly Hills, California. She can be reached at DoraLevyMossanen.com. Amy Ephron Elegant. Rich with myth, history, politics, fantasy and life intermingled -- as if the voice of an Isabel Allende of Persia has emerged. Elizabeth Forsythe Hailey author of A Woman of Independent Means A richly imagined feminist fable -- a feast for the senses. Robert Hellenga author of The Sixteen Pleasures and Blues Lessons Dora Levy Mossanen's first novel, Harem, is truly astonishing. Nicholas Christopher author of Franklin Flyer Harem reads like a wondrous cross between Colette and Sir Richard F. Burton. The dark lights and vivid tableaux Ms. Mossanen conjures stay with you long afterward. A very impressive, and adventurous, debut.